I'm feeling pretty good about my to-be-read pile for the foreseeable future. This book is a sequel to one I read recently. I have a YA trilogy on loan from my sister and will request the sequel to the book I just finished from the library soon. 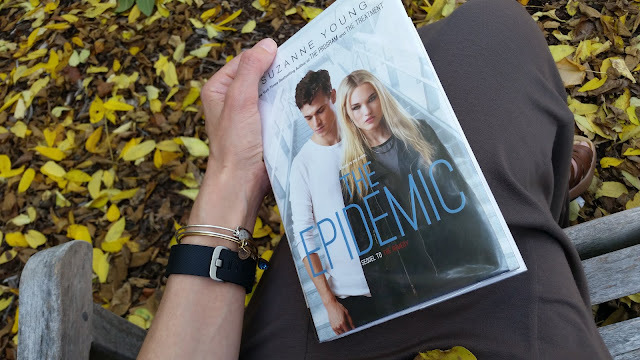 So yay for borrowing all the YA! The weather was spectacular for mid-October. I was wearing sandals and short-sleeves and sitting in the shade. Leaves were falling all around me as I read (note the one in my lap, not staged). It was a delightful way to spend my lunch hour.